One of the reasons that parents seek out our services is due to their kid’s sleeping problems. It may be that their child was a great sleeper and all of a sudden is waking up ten times per night. Or it may be that they have had a hard time going down to sleep since birth. What can Chiropractors do to help? First off, our focus is on the nervous system and since this controls EVERYTHING in the body, we can influence how a child sleeps. When we adjust children, we are sending information to their brain via the spinal cord. We also discuss different aspects of the nervous system and can supply techniques that can be used at home to help a child function optimally. When discussing sleep, we often explain the vestibular system. The vestibular system detects the position of the head. This information is then integrated to combine position of the head in relation to the body. This system also stabilizes the eyes while the head is moving as well as head stabilization during body movements. Understanding these points, we can make vestibular exercises more specific by checking eye movements such as the vestibulo-ocular reflex. One method of activating the vestibular system is rotation. We do this with children by holding them upright and slowly spinning. This can be done either in the direction that the exam indicated or if this is unknown, the parent can go both directions. By activating the vestibular system, it helps calm down the brain to get into sleep mode. 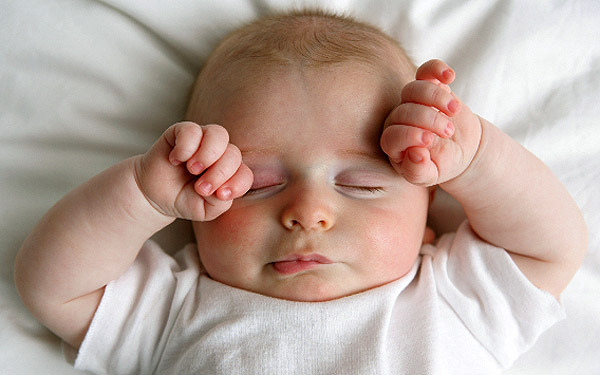 If your child is having sleep problems, we’d love to set up a consult with you to discuss more at (952)474-1949! In the meantime, try the slow spinning techniques. If you sing a song during, do it for the length of the song or spin at least a few minutes.